I have done a few Easter cards and here are two of them. 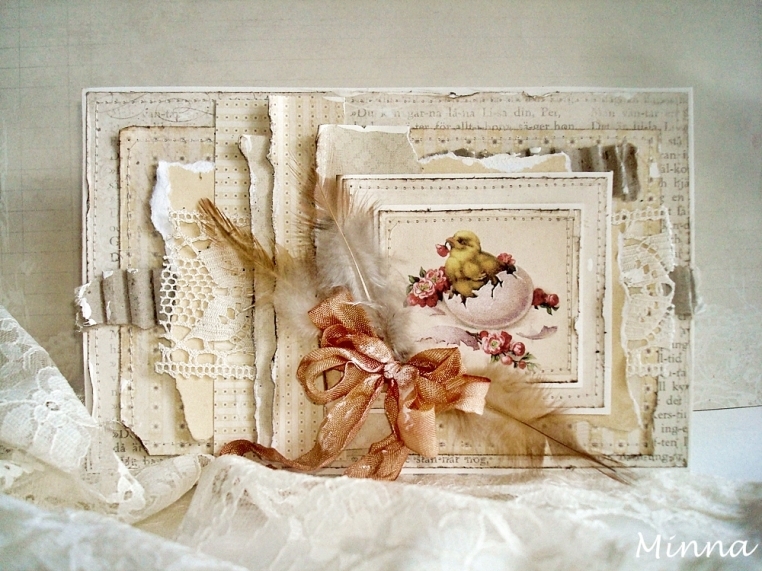 I found some beautiful papers which matched with this wonderful Easter image from the Fairytale of Spring collection. Here is an Easter card in yellow tones. 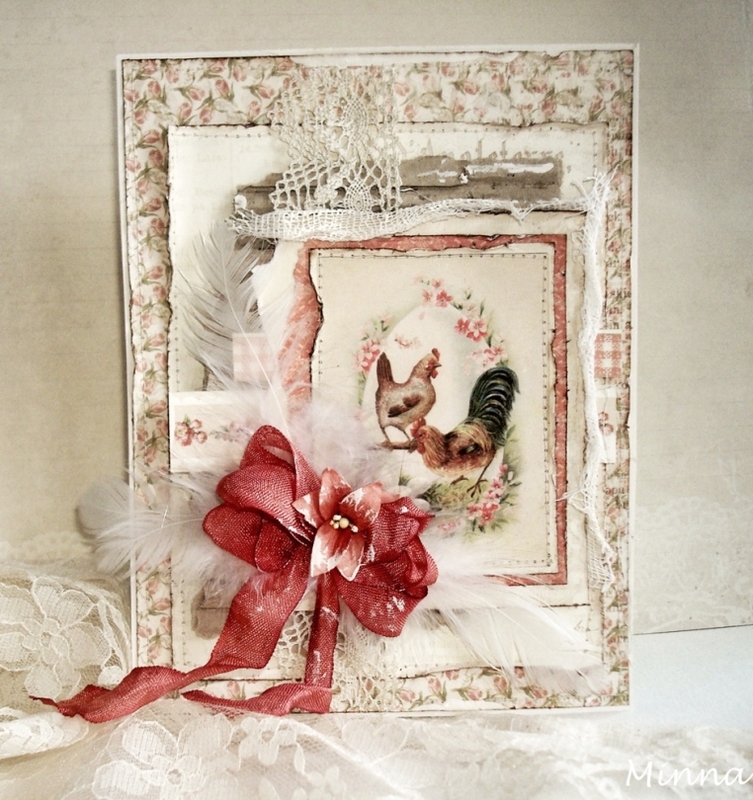 I have added some feathers and colored seam binding ribbon in my card, as well as corrugated chipboard. Amazing, inspirational work as always – what a joy the first one is with those rosy accents!